A good friend made it possible for me to attend this and it was a cracking event. 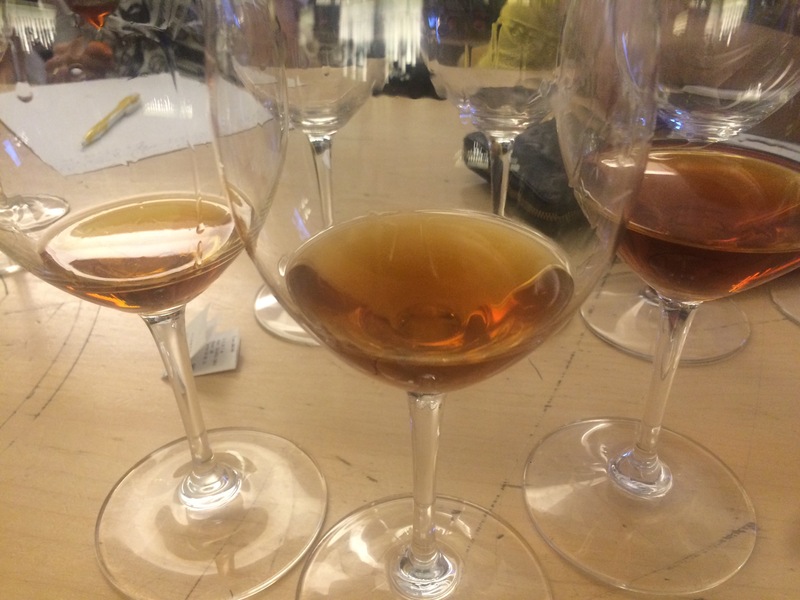 The title – “Palo Cortado – the most mysterious sherry wine” – suggested a bit of blarney but in the end nothing to worry about – maybe a bit of blarney but overall a good, punchy and knowledgeable introduction with some interesting nuggets and some key background facts on each wine – a well prepared and well conducted tasting. 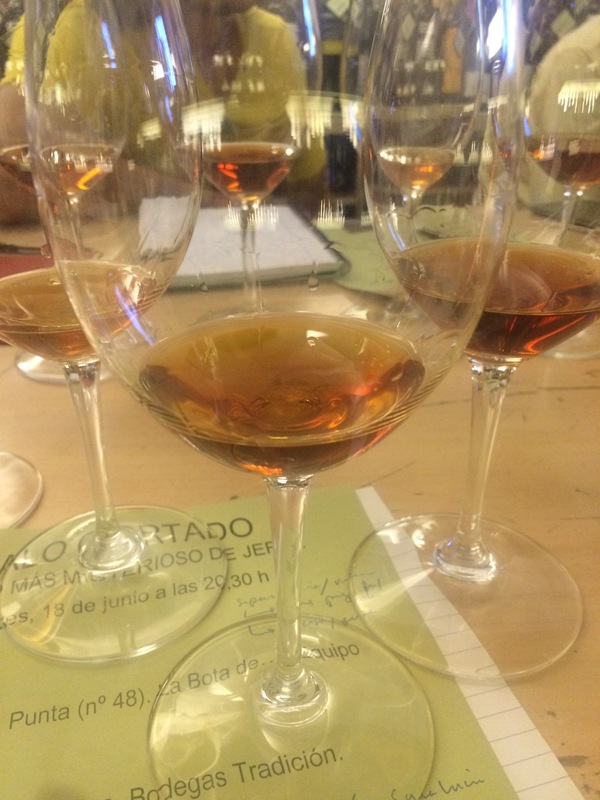 Overall favourite: the Equipo Navazos 48 – just for the range of aromas, flavours and notes – but this was a superb range of palo cortados and an excellent event. 2014 on the left, 2009 on the right – just look at the colours. It is immediate on the nose, and on the palate too. 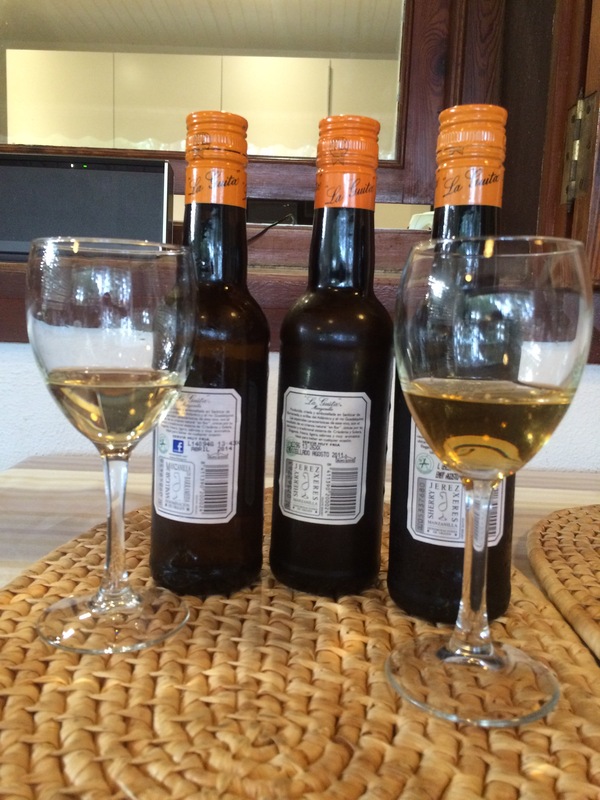 We started with the 2014 and it was light, fresh, dry, fruity, saline and refreshing – a lovely drop (15/20). Next stop was the 2009 and the oxidation was really interesting. The fruitiness had become nuttier – it had maybe lost a little of its freshness while gaining a bit of power (16/20). Last, the 2011, which unsurprisingly had gained some complexity while maintaining more of the fruit and lightness of the 2014 (16/20). Not sure which is “better” but they really are different wines and it was an excellent experiment (made possible, it must be said, by the guys at Coalla Gourmet who somehow got their hands on the 2009 and 2011). 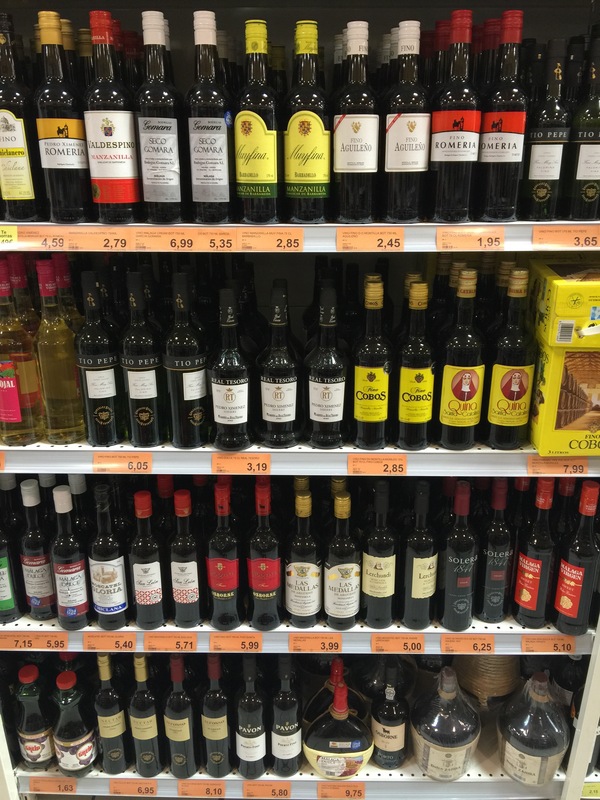 My own favourite was the 2011 – maybe I will have to keep some en ramas after all. Credit where it is due – these guys were the first to get me really interested in sherry with an inspired recommendation (an Equipo Navazos Palo Cortado) and it was also the scene of one of the best wine tastings I have ever attended – a magnificent tasting with Juanma Martin Hidalgo from Emilio Hidalgo (the best was at the bodega itself). 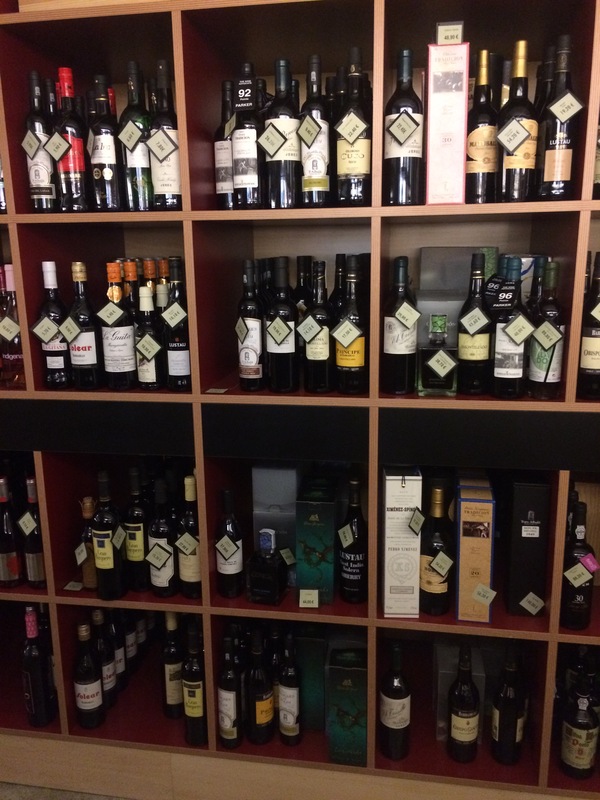 It is one of the best places in Madrid to browse for sherries and they have some interesting stuff as you can see in this photo. The Ramones have been on my mind this week. Not the band – what little I know about them doesn’t give me reason to believe they were big sherry lovers, but rather two chaps called Ramon that I met this week. The first was Ramon Coalla, of Coalla Gourmet, a fantastic delicatessen in the heart of old Gijon. A lovely spot (as the picture below shows) and a true gent who invited a thirsty traveller to a glass of Marc Hebrart blanc de blancs champagne. He has a fantastic selection of wines of every stripe, but in particular some top notch sherries – the limits of my photographic skill do not do it justice. The second Ramon boasted an even bigger range of sherries in an even more remote location: an alleged 200 varieties at his sherry bar Viña y Mar (some problems with the web but this is the one he gave me so bear with it), which can be found in Vejer de la Frontera – probably as far from Gijon as you can get in Spain (while keeping your feet dry). I met him in Madrid and was immediately impressed by his ability to combine wine drinking and roll-up assembly – a pilgrimage is clearly called for.